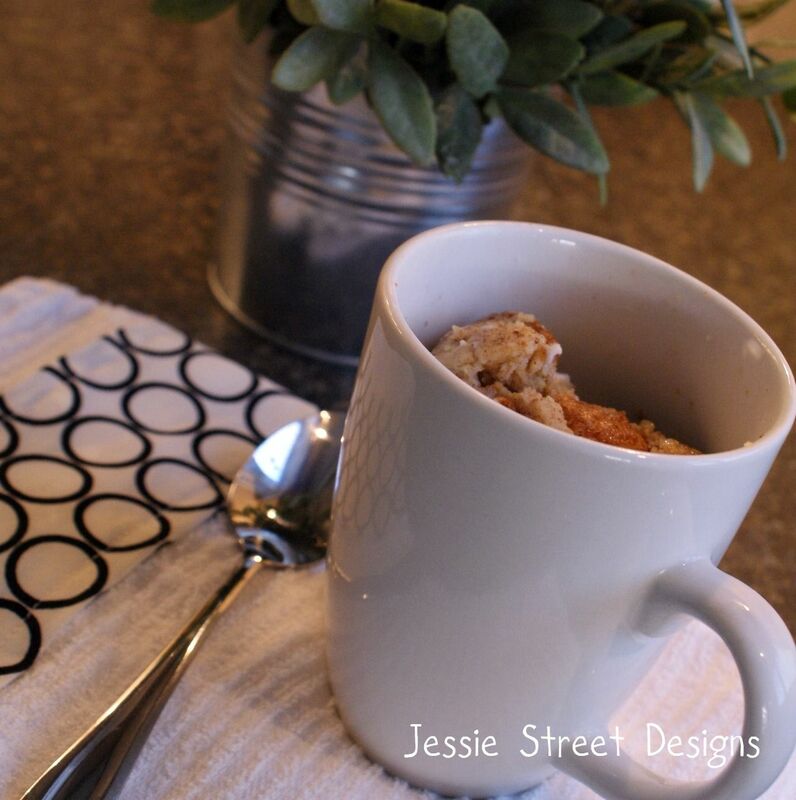 Jessie Street Designs: What's Cookin' Wednesday - French Toast in a Cup! I came across this recipe from the Prudent Baby blog - it is delicious, and quick & easy to make!! I give this two thumbs up!! Spread the butter around the side and bottom of your mug - you may need to melt the butter a bit. Heat in microwave for 1 minute, 30 seconds - or until ready - no runny eggs! Once cooked, pour on the Maple Syrup and ENJOY!!!! I love this recipe. Featuring on Thursday at Bacon Time.